"I was totally satisfied with my experience with them. Even when I had a problem due to my own preferences they were quick to make the adjustments and have earned my approval for any and all of my Christian video purchases! Very very satisfied! Thank you!" 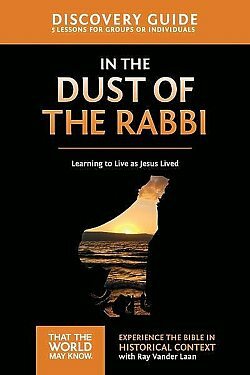 This five-session small group Bible study, In the Dust of the Rabbi, by noted teacher and historian, Ray Vander Laan, is volume six of the 12-part Faith Lessons series. In this volume, Vander Laan helps you experience Jesus’ life up close and personal. The companion DVD for In the Dust of the Rabbi was filmed on location in Galilee, Priene, and Didyma. This Discovery Guide is designed for use with the In the Dust of the Rabbi DVD (sold separately).